In a recent post, Jesse Stay discussed two trends that are affecting people in their homes. First, people have more “computers” in their homes. I can remember a few short years ago when our family only had a single computer. That is no longer the case in our home, and it is certainly no longer the case in the Stay home: his post mentions Xboxes, a Nest, a Fitbit, a Sonos, and “other devices.” All of these devices have computing capability. The other trend is the increased use of the cloud for storage. While the aforementioned Xboxes get data from “a server in the closet of my office,” many of the other devices use “the cloud” for storage. What this means is that Stay does not need a server in the home for these devices – the data is stored in a server farm in North Carolina or somewhere. I’m going to go on record – the name “server” is going extinct. Now I should emphasize that Stay is talking about home use, not enterprise use. Obviously Google and Amazon and the like are still going to need servers. But Stay is saying that for the home user, he believes that the concept of a local server is going to become obsolete – all the data will be stored somewhere else. Well, Jesse, while you may not want to use that six-letter “s” word in your home, I’m not quite ready to banish it from my home just yet. Why? Because of my pendulum theory. If you haven’t encountered my pendulum theory, I first proposed it back in 2009 (although I didn’t use the word “pendulum” in this initial statement of the theory). I used it in reference to Amazon’s mimicking of something that CompuServe did long ago. * The Benevolent Model, in which a central service provides everything that the users need, including programs and processing power. All the user needs is a dumb terminal, something that acts as a dumb terminal, or something even dumber like a punch card reader. The central service takes care of everything for you. There is nothing to worry about. Dave? * The Rugged Individualist Model, in which a computer user doesn’t need anybody else to do anything. A single computer, in the possession of the computer user him/herself, includes all of the power that the user needs. We don’t need no central service; we don’t need no thought control. In the Stay household (ignoring the Xbox for the moment), data is stored by a central service – actually multiple central services. The important thing is that it’s not stored in the home itself. But I don’t think that it will always remain that way. And the six-letter “s” word may be spoken in the Stay household yet again. Now I’m sure that Google and other services put enough redundancy into their systems to minimize the occurrence of outages. But there is no “cloud” company – none – that can guarantee 100% availability to its users. It is literally impossible to do so. Now the statement itself is accurate – but its implication is wrong. For while it is true that no cloud service can provide 100% availability, it is also true that no self-storage solution can provide 100% availability. As someone who has gone through a hard drive failure, I should have known this better than anyone. (Incidentally, that hard drive failure occurred at the same time that Facebook acquired FriendFeed. Go figure.) So the question remains – can cloud services provide higher availability (and accessability) than you can if you store things yourself? Of course, the person who wrote such an alternate history would have a tough task, since many people today would not recognize daytime television from the 1970s. Young people today may not believe it, but in the 1970s daytime television was entirely occupied by game shows, soap operas, and inconsequential talk shows. The reason for this was an admittedly sexist assumption – since the men of the house were working outside of the home, and since the women of the house were housewives, some light entertainment was needed to occupy the women when they weren’t cleaning and baking. While one can truly question whether this was ever true, the three (at the time) commercial television networks certainly thought it was true, and structured their programming accordingly. Unbeknownst to the network television executives, however, the demographic landscape had changed. There were fewer and fewer housewives as more women worked outside the home. More and more of the daytime television audience consisted of college students. And at the same time, technologies were emerging which allowed someone to videotape a show during the day, and watch it in the evening. Because of these factors, daytime television presented an opportunity for the networks to present edgy programming – if only they realized it. The first network to engage in such programming was NBC. While some would later say that Fred Silverman’s genius was responsible for the change, even Silverman himself subsequently admitted that it was all an accident. NBC was being trounced by CBS and ABC, and Silverman was desperate to try anything to escape the cellar. While much of his enormous energy was concentrated on NBC’s prime time schedule, he also paid attention to other parts of the schedule. NBC had a young comedian named David Letterman under contract, and Silverman decided to put him in the morning slot, cancelling several game shows to make way for The David Letterman Show, which premiered on June 23, 1980. It soon became apparent that this was not your typical show for housewives. One of the earliest indications of this was the appearance by Andy Kaufman as a guest. By the end of the summer of 1980, David Letterman was the most talked-about personality on television. People began to call in sick or claim to have car problems so that they could stay home and watch the show – in fact, “Stupid Car Problems” became a recurring theme on the show. By 1985, the transformation of morning television was complete. The soap operas and game shows were moved from the morning schedule to the evening schedule, although many commented that “Wheel of Fortune” and “Dallas,” while successful in so-called “prime time,” could never make it in the mornings. (Even today, the block of programming between 8:00 pm and 11:00 pm Eastern time is still called “prime time,” despite the fact that this is an almost forgotten part of the schedule.) Daytime, however, was a hotbed of activity, as hard news shows hosted by Newman, Pat Buchanan, and Al Franken battled against edgy talk shows from Leno, Letterman, and Phil Donahue. ABC tried to buck the trend by heavily promoting a lighter talk show from Oprah Winfrey; the show, however, was a complete failure, and was quickly replaced by a hard news show with Geraldo Rivera. While many of the daytime personalities have changed – Al Franken, Pat Buchanan, and Phil Donahue left television for the U.S. Senate, and Leno and Letterman have long since retired – the nature of daytime television programming remains the same, even in 2013. But today’s stars well understand their debt to the pioneers of daytime television. Recently, talk show host Michele Bachmann scored a ratings coup by having David Letterman and Jay Leno appear on her show together. The segment was moderated by Bachmann’s co-host, the resurrected 1980s failed star Oprah Winfrey. I hope to write a future post to explain how Leno, Letterman, and the like contributed to other massive changes – the proliferation of flexible work schedules, technologies that allowed time-shifting of television shows for those who didn’t have flexible work schedules, and the massive increase in people who worked from home. Hiram looked with amazement at Abner’s demonstration. “But can’t I just not pay one month and then get electric service the next month?” asked Hiram. As Hiram thought about this, he noticed that Abner was fiddling with a most unusual set of spectacles. They looked like normal spectacles, but there was a strange box on the corner of the spectacles. How will people configure their information consumption options in the future? I should start this my making two disclosures that will be relevant by the end of this post. The first is that Jesse Stay is old. The second is that I am even older than Jesse. Why are these facts relevant? Because for several years, both Jesse and I have chosen to consume information via something known as an RSS reader. RSS stands for either Rich Site Summary or Really Simple Syndication, and its purpose is to extract information from a source (such as a newspaper website or a blog) and present it somewhere else. The information reaches the “reader” (either the RSS software, or the person using the RSS software) by means of “feeds” that present all or a portion of the original content to the reader. A good RSS reader allows you to organize these feeds; for example, I can take all of my RSS feeds that relate to California’s Inland Empire and place them in an Inland Empire folder. If I want to see what’s going on in the Inland Empire, I can just look at that folder. While there were many RSS readers a few years ago, things changed when Google entered the market and created a software application called Google Reader. As Google Reader became more popular, other readers died off or became frozen in time, not introducing any new features and not fixing any bugs. After a series of unfortunate events (documented elsewhere), Google announced that it would discontinue Google Reader by the middle of the year. While some sought out those alternative RSS readers that were still around, others instead declared that “RSS is dead.” Those who believe the latter asked themselves, what next? How will we get information? While RSS is great for B2B applications of sharing information and likely won’t go away, from a consumer perspective I think email has won this battle. If your site, which previously had a “subscribe via RSS” button on it doesn’t also have a “subscribe by email” button, it probably should. It is evident to me that while many are searching for a new RSS reader that the answer for many trying to guarantee delivery of content will actually be email. Email use dropped 59 percent among users aged 12-17, as well as 8 percent overall, according to ComScore’s 2010 Digital Year in Review. Users between 18-54 are also using email less, though among those 55 and older, email actually saw an upswing. Young people are turning to social networks to communicate instead–the activity accounts for 14 percent of time spent online in the U.S.. That growth is fueled largely by Facebook…. How will teens get their information then? Through Facebook’s fake email address? Maybe. Maybe not. Twitter? Twitter has huge volume, and if you’re subscribing to a few hundred people, there’s a good chance that you won’t see every tweet from those people. You could set up lists, but Twitter doesn’t have the elegance of an advanced RSS reader that retains items until you act upon them, or of an email application that retains items until you act upon them. What do you think of the future of information consumption? This post will talk about a plastic doll, an expert in international emerging technology market development, and a memorable image from a Chris Farley Saturday Night Live sketch. These three things are very different – C. Maxine Most is certainly not a Barbie doll, and I seriously doubt that she lives in a van down by the river. But before we get to Most’s thoughts on technology and solutions, let’s talk about something that Barbie used to say. Over twenty years ago, Mattel created a talking Barbie doll that uttered 270 different phrases. After consumer objections, that list was trimmed to 269. The phrase that was removed from Barbie’s vocabulary was the phrase “Math class is tough.” At the time (and even today, 20+ years later) there was a concern that females were not being encouraged to pursue scientific careers; if Barbie (who, admittedly, is primarily a toy for girls) was saying that math class was tough, it was feared that the small number of women in the sciences could continue. But that piece of plastic had a point – not just for women, but for everyone. Math class is tough. So we develop all sorts of learning methods, as well as all sorts of technologies, to make math class easier. 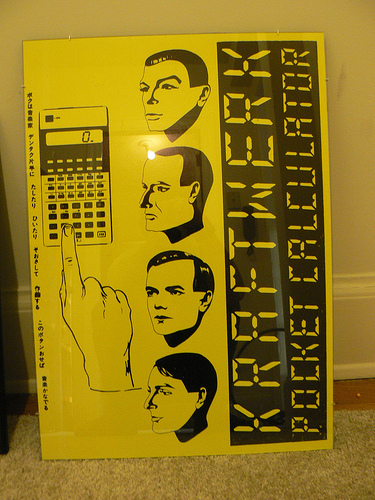 I was in one of the first generations of students who had calculators in math class. While there are arguments that calculators serve to atrophy our ability to perform calculations ourselves, the calculators do allow us to concentrate on learning mathematical theories. The calculator is not a way of life (as I have often said, “a tool is not a way of life”), but is just one component that solves a problem for someone. The point about pursuing solutions, rather than tools, was emphasized in an early morning presentation by C. Maxine Most of Acuity Market Intelligence. The presentation was part of a webinar sponsored by findBIOMETRICS. Most, along with Frost & Sullivan’s Brent Iadarola, was speaking on the topic of “The Future of Mobile ID – Mobile ID Industry Update.” (DISCLOSURE: the webinar was sponsored by several biometric companies, including my own employer.) Most made the point about solutions by talking about her first impressions of the iPhone. From Most’s point of view, smartphones were tough before the iPhone. It was hard to get applications for the smartphone, and it was hard to use applications for the smartphone. However, when the iPhone arrived, it was designed to be used by a person, and it was easy to get apps, and it was easy to use apps. Once smartphones were no longer tough, they could be applied to solutions. Solutions such as mobile banking. “Bank” is another thing that is tough. But if you look at what has happened in the banking industry over the last several decades, you can see that many things have happened to make banking much easier. A few decades ago, you had to go to the bank on a weekday, and “banking hours” were a synonym for “not all that often.” Now you have ATMs, and banks in grocery stores, and the ability to scan checks with your mobile phone to deposit them. Even when ATMs were introduced, ATMs were tough. You had to put your account number on the checks you wanted to deposit, and you had to fill out the deposit envelope, and you had to insert your bank card, and you had to type in your personal identification number (PIN). Today – if you don’t avoid the ATM altogether by having your checks deposited electronically – you can throw your checks into the ATM machine without an account number, signature, or deposit envelope. As as for the bank card and the PIN – why do you think that my employer and our competitors were sponsoring this little chat? Now we’ve even removed the next “hard” thing – the need to go to a bank, or to an ATM, or even to your home computer, to conduct banking. I alluded to mobile deposits earlier – as long as you have a cell signal, you can be anywhere – even in a van down by the river – and you can deposit checks to your heart’s content. You can also pay bills, transfer funds, and do all sorts of stuff that would require a visit to a teller a few decades ago. As I previously mentioned, there are a number of banks in the Fortune 100. They’ve embraced a number of technological changes over the years, all in the name of making banking easier. But if changes continue to occur at more rapid rates, it’s quite possible that the bank customer in 2023 will laugh at the days when you had to memorize PINs and carry cards to perform banking. Before the findBIOMETRICS webinar began, the hosts conducted a quick survey to ask the 300+ participants when they thought passwords would go away. Some people, such as myself, thought they would be around for ten years or more. The majority of respondents, however, thought that passwords would disappear much sooner than that. There is one thing that I am certain of, however – my predictions for the future, and Acuity Market Intelligence’s predictions for the future, and Frost & Sullivan’s predictions for the future will all end up being somewhat wrong. Maybe banks will be in trees. Maybe banks will be owned by oil companies. Who knows?